Dr. Lisa Thoms truly loves creating smiles from the inside out. She takes a lot of pride in listening to each and every individual patient and truly loves her chosen profession. 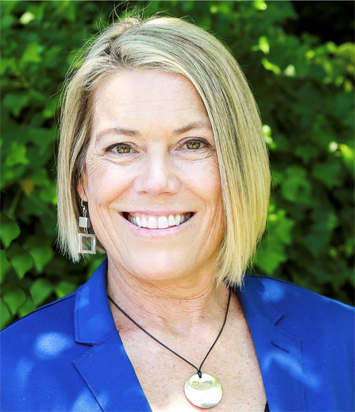 Dr. Thoms grew up in Southern California, receiving her bachelor of science in biology from UC Irvine and her Dental degree from the USC school of Dentistry. She maintained a general practice in Newport Beach and taught at the USC dental school until moving to Seattle in 1991 to attend the U of W Graduate Prosthodontic program, a three year residency in advanced comprehensive dentistry and cosmetics. Her Masters thesis was on cosmetic bonding which was published in a national dental journal. Dr. Thoms taught part time in the U of W graduate prosthodontic department for 14 years while maintaining a full time private Prosthodontic practice for 18 years in Kenmore, Washington. She is Board Certified in Prosthodontics, one of only 3 women in the state. Currently she is the senior manager of clinical affairs for Dentsply Sirona Implants and maintains a part time practice in Bellevue limited to crowns, bridges, implants, dentures, partial dentures and cosmetic dental enhancements. Member, Seattle/King County Dental association, Washington State Dental Society, American Dental Association. Dr. Thoms is a competitive slalom water skier and loves to snow ski and snow board. Along with skiing she enjoys squash, yoga and golf! She values her time with friends, family and patients.